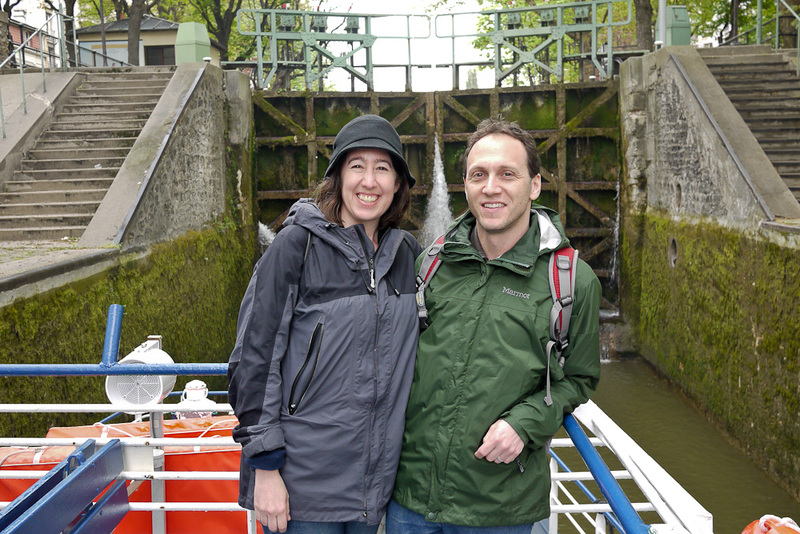 Karen and I have just returned from a short visit to Paris (France, not Texas). 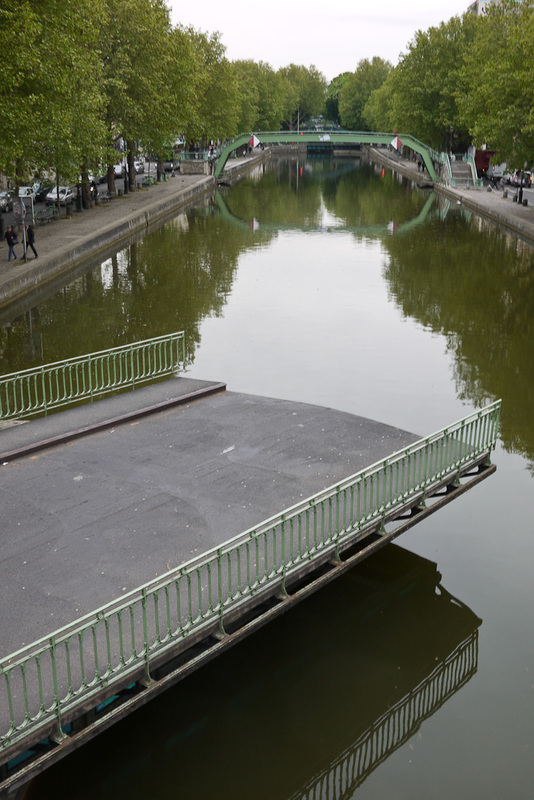 I have been there twice before, but until Karen told me there was a canal that ran through the middle of the city, I was oblivious to its existence. 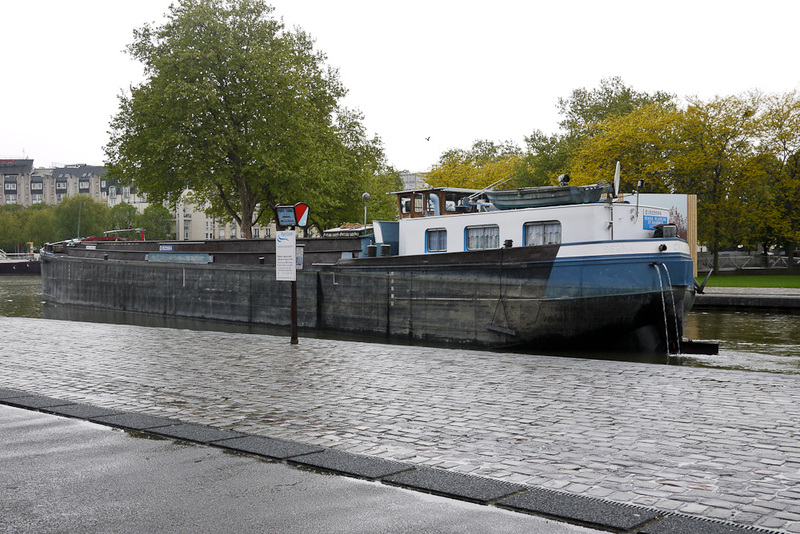 Thanks to the internet we were able to rent an apartment just a couple of blocks from the Canal Saint-Martin. 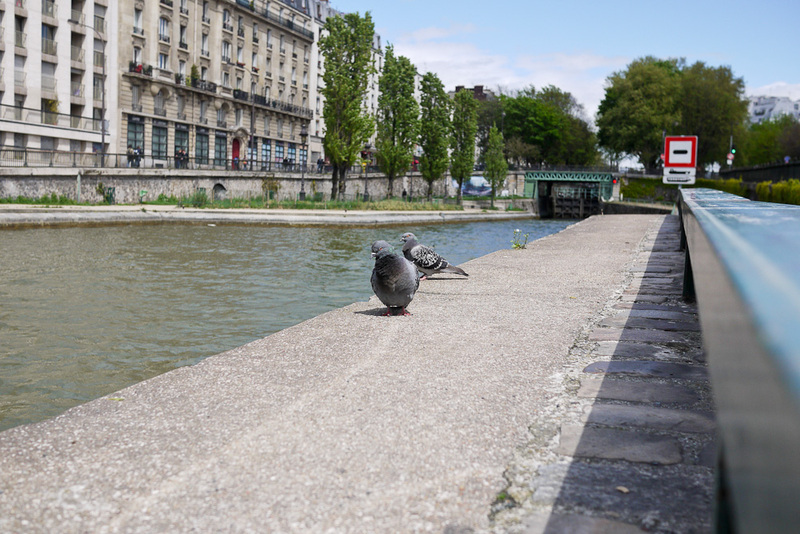 The canal was constructed between 1802 and 1825, by order of Napoleon I, to bring fresh water to Paris and for the transport of goods. 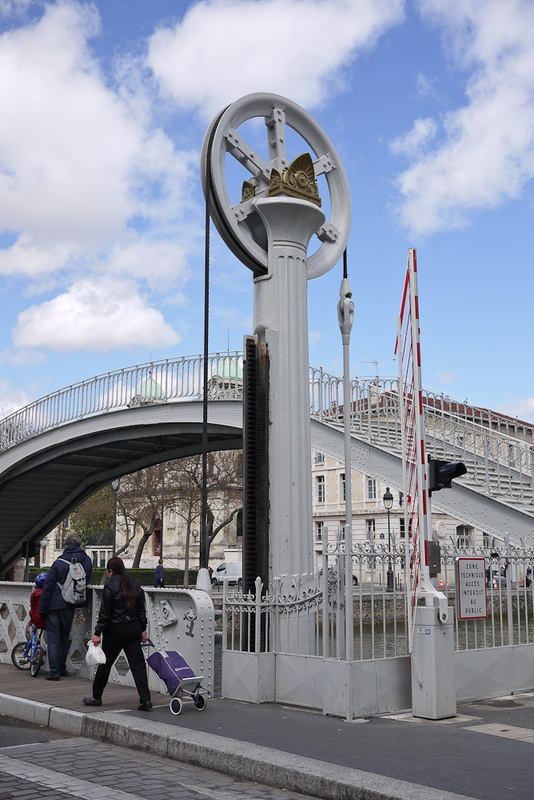 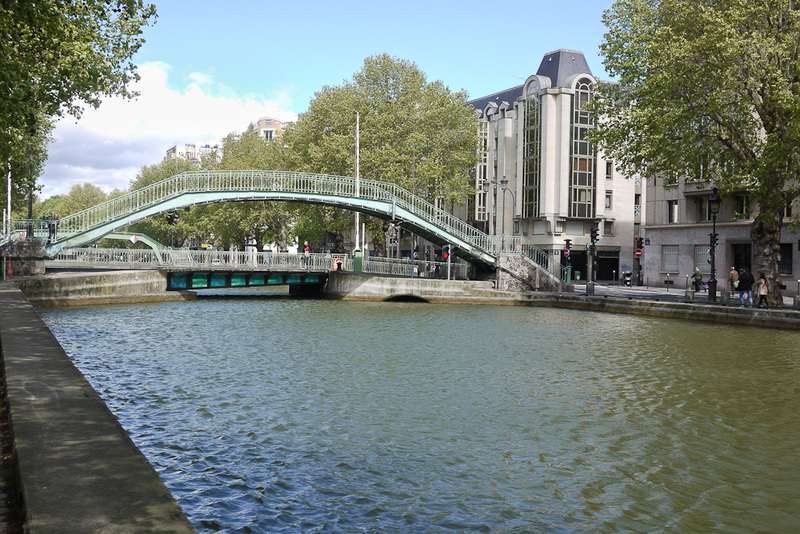 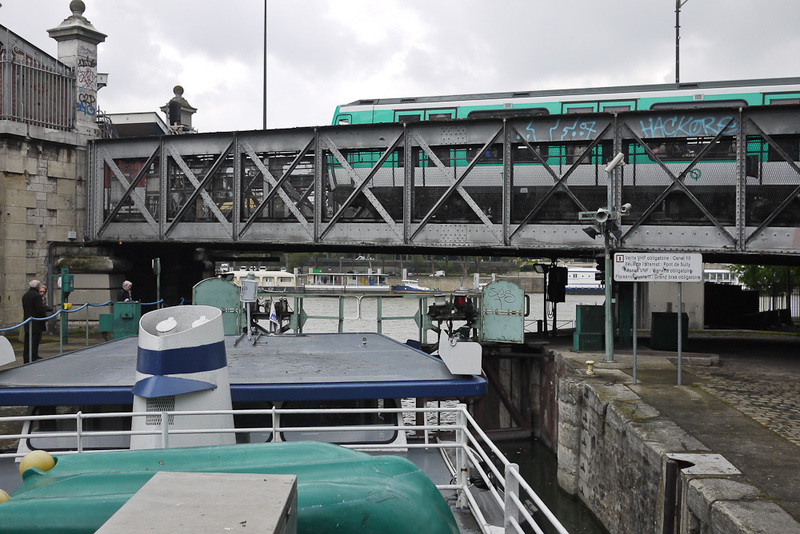 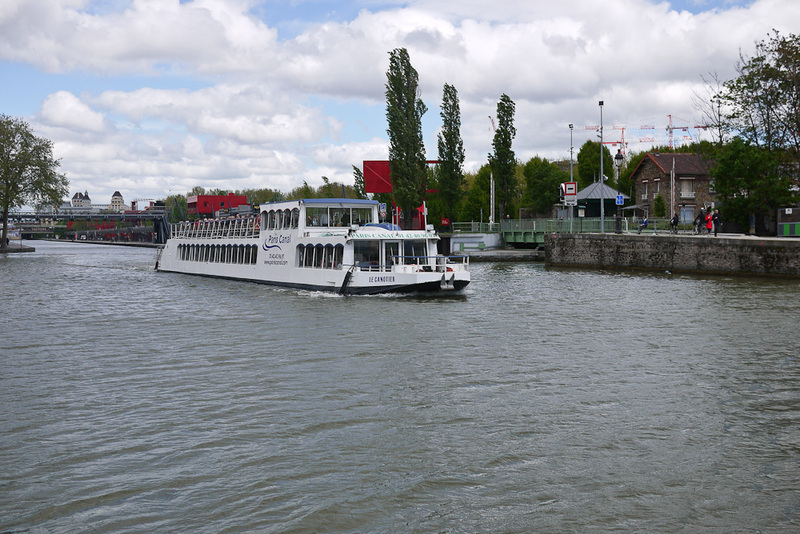 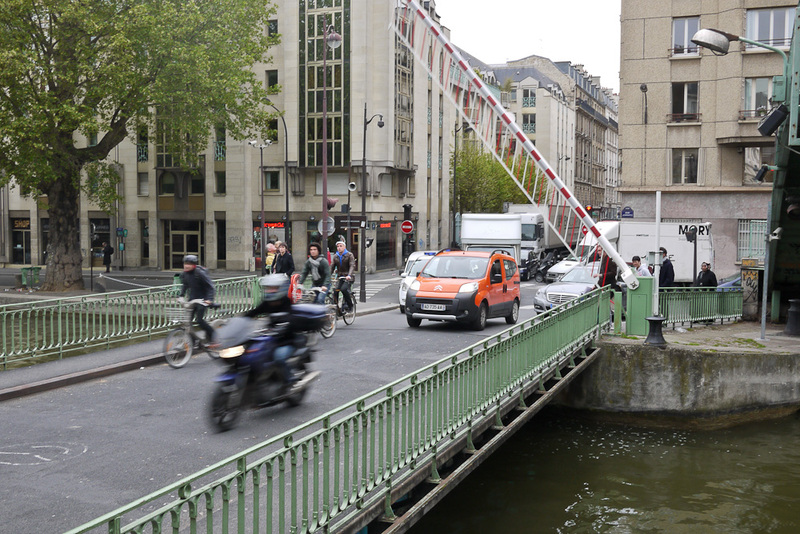 It runs 4.5 kilometers from the Bassin de la Villette to the Port de l’Arsenal just off the Seine River. 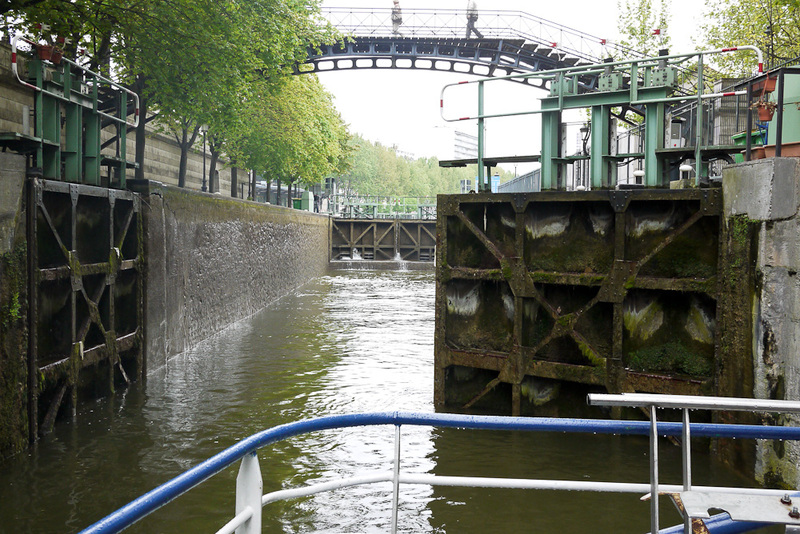 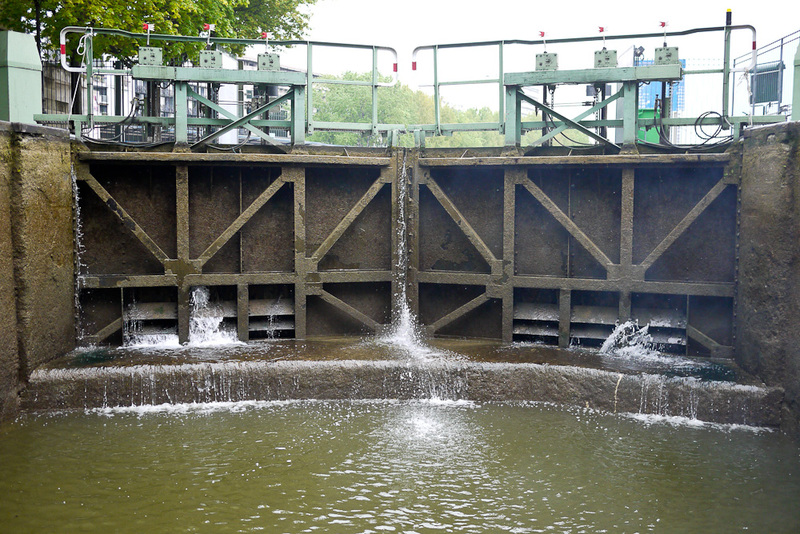 Nine locks raise or lower boats a total of 27 meters. 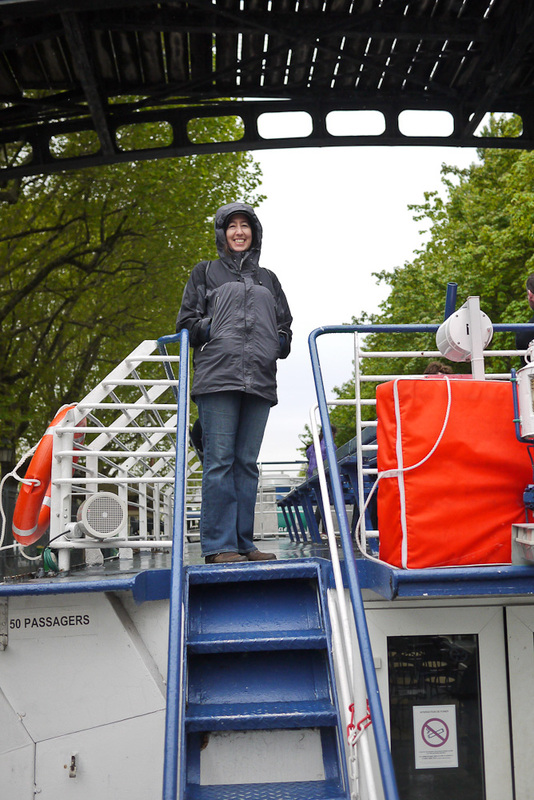 Two companies run tours along the canal, and there was no way we were not going to take a canal-boat trip. 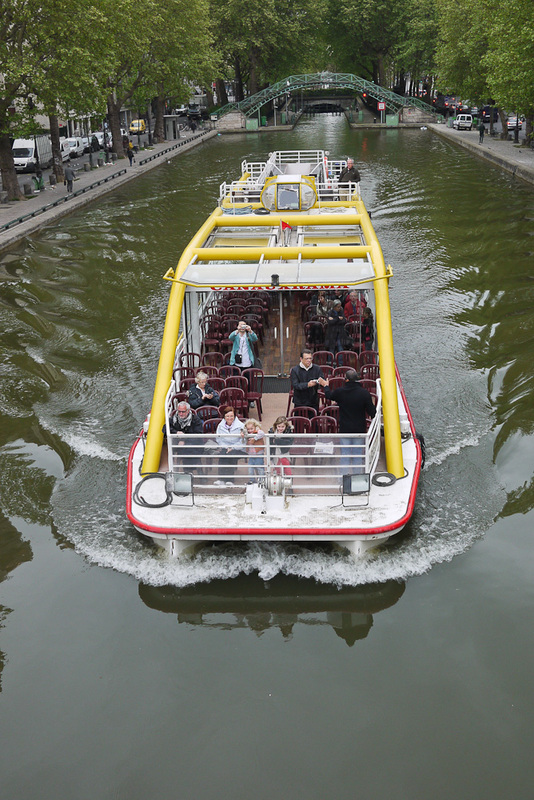 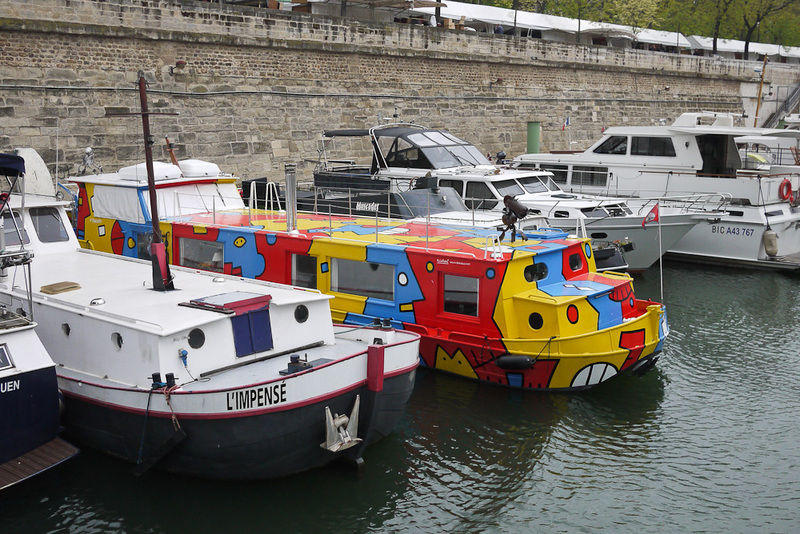 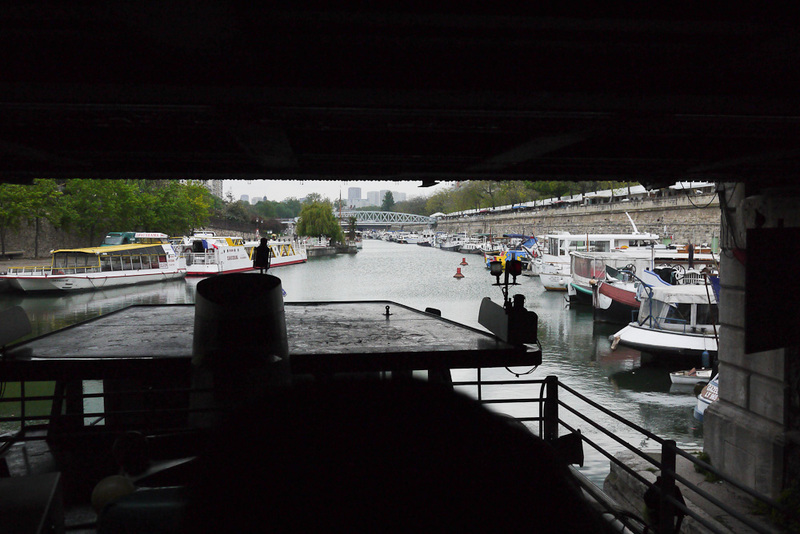 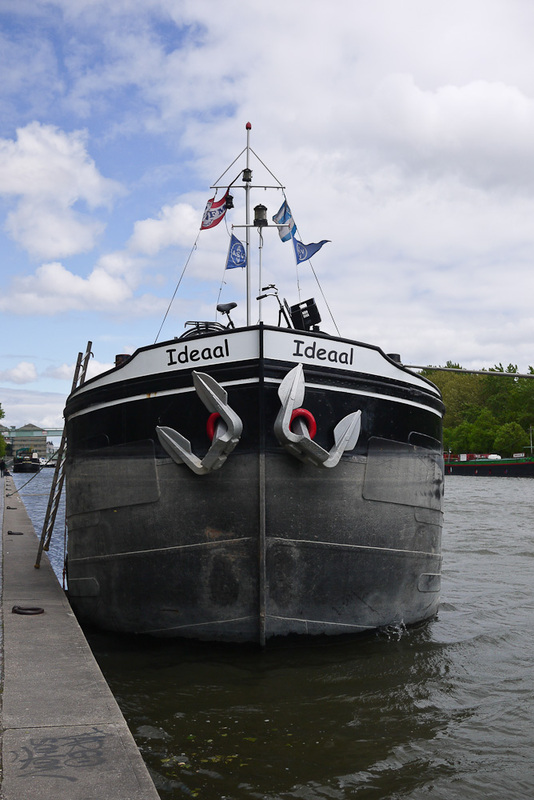 Here is one of the boats that Paris Canal operates. 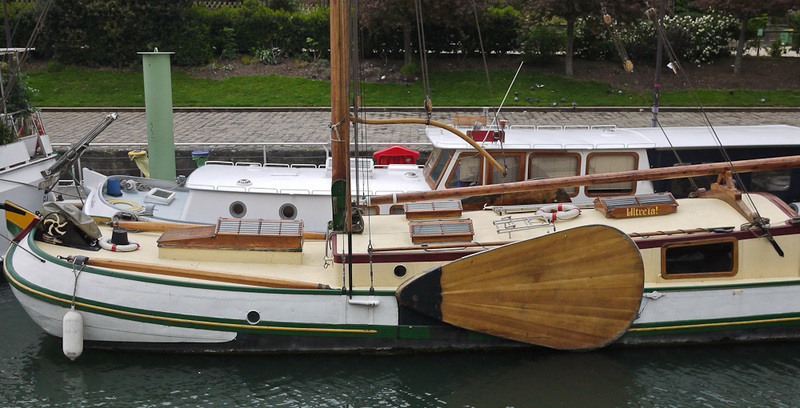 This is the company we used. 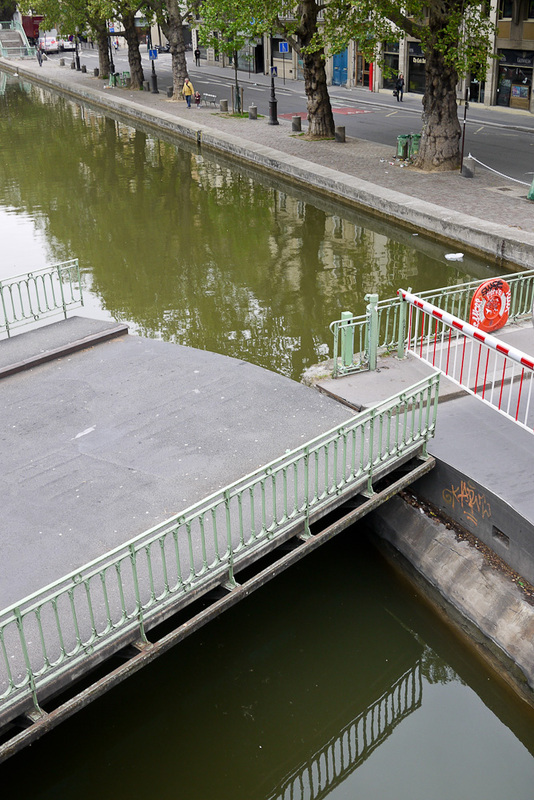 This bridge is confused. 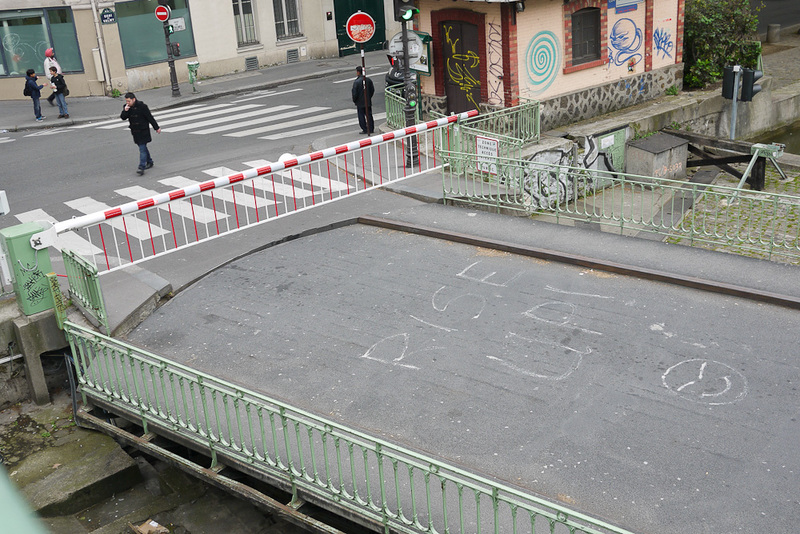 It says, “Rise up!” but it doesn’t rise. 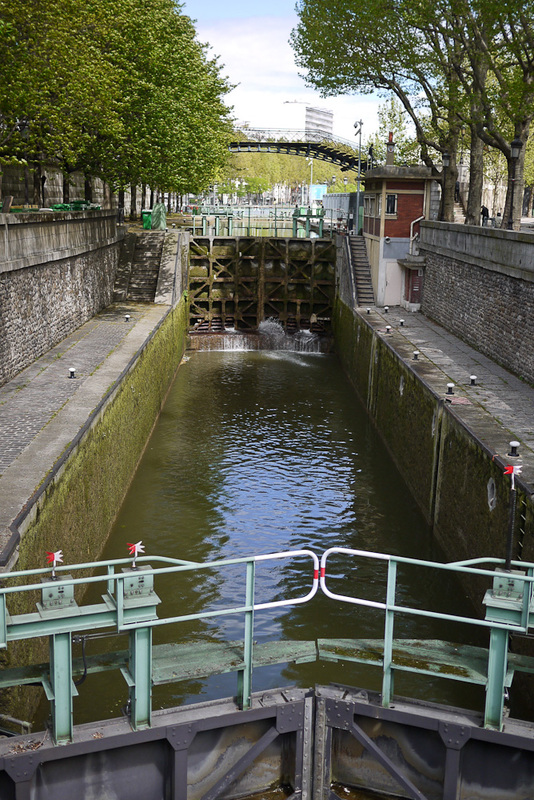 This sign is at the first lock on the Canal Saint-Martin: 4.5 kilometers to the Seine. 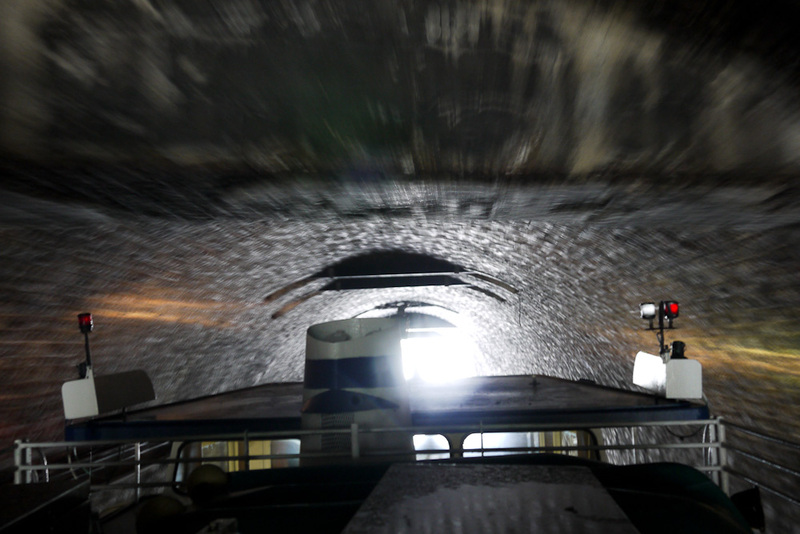 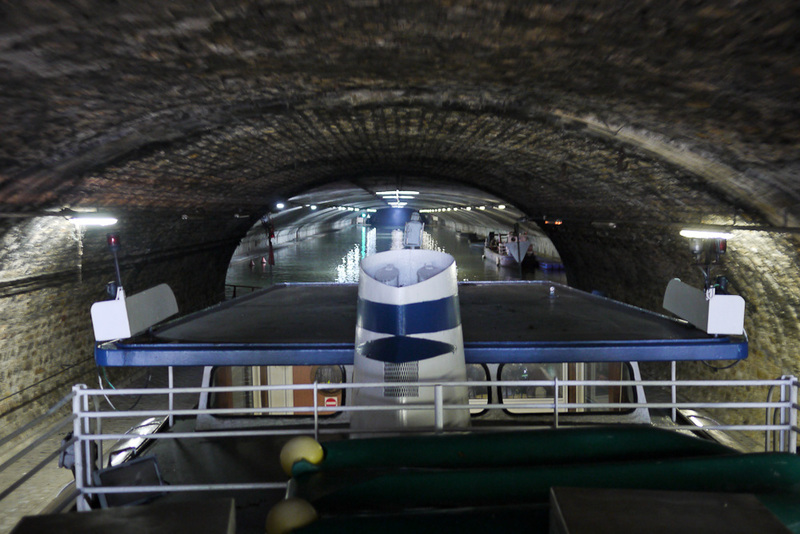 About half of the canal runs through a tunnel. 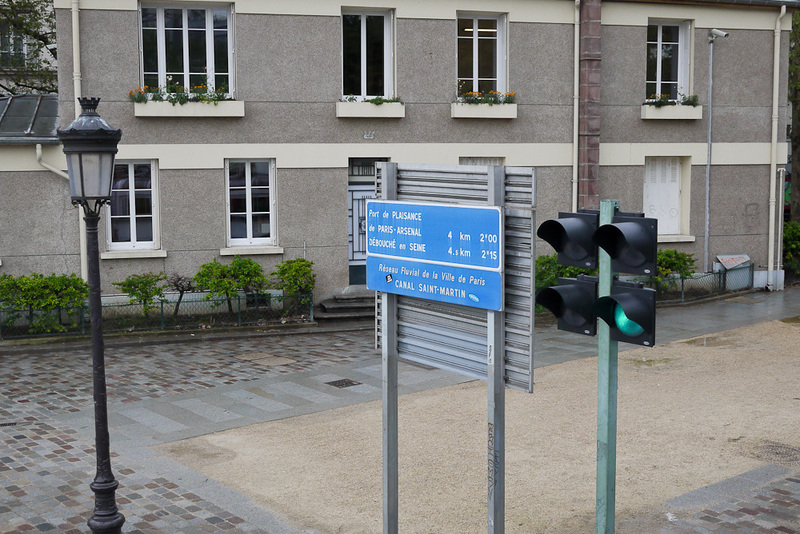 Only this first section has artificial lighting. 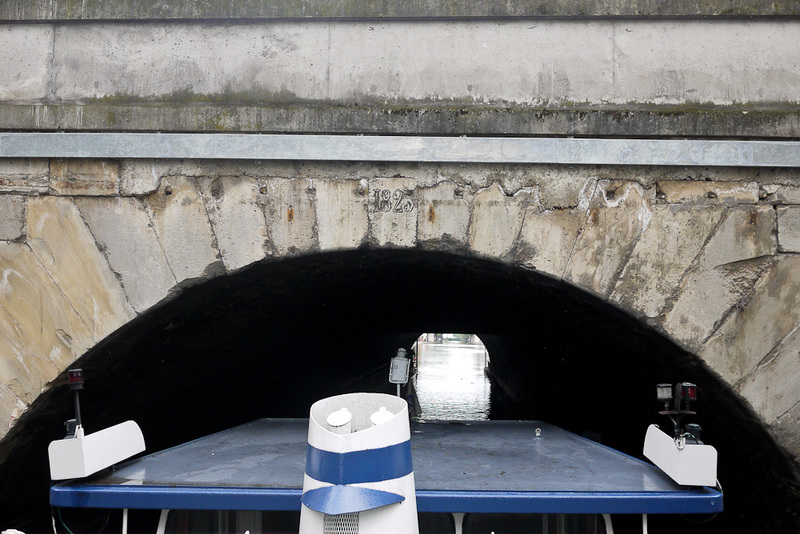 The rest of the tunnel is dark, except for openings every block or so to allow light and air in.